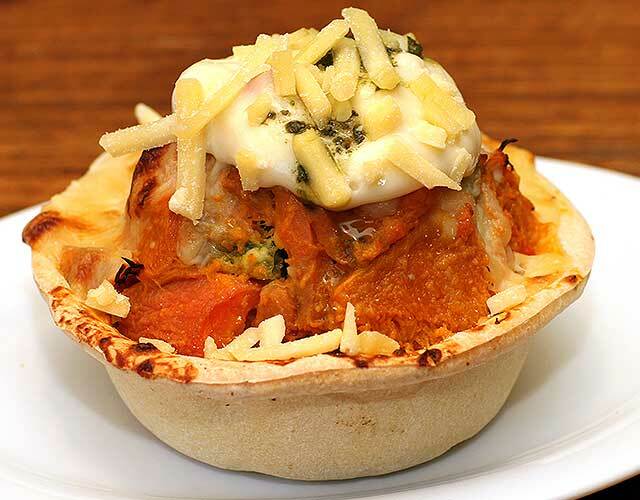 Whether you prefer subtle slow cooked traditional flavours or some of the bold spicy alternatives, with over thirty varieties on offer here, there is something for everyone. 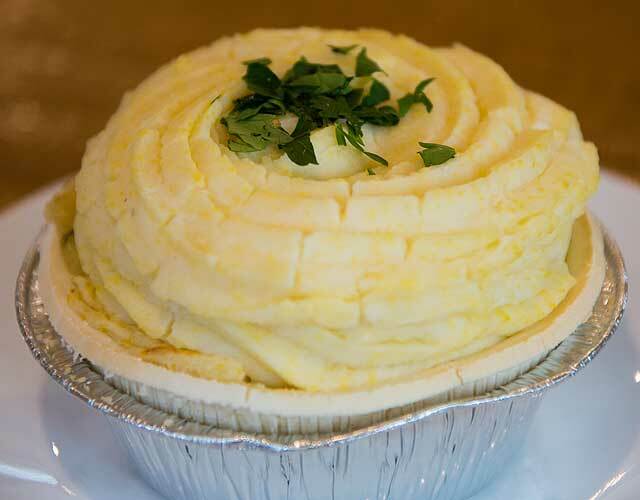 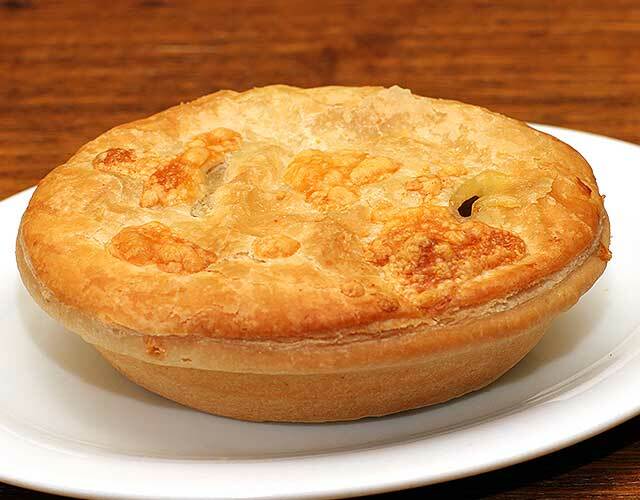 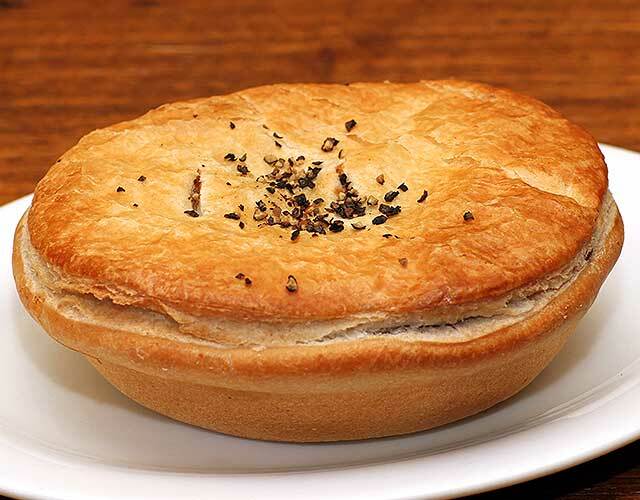 You can dine in or takeaway and if you want to make a real meal of it all our pies can be served with a side salad or our three mashed veg and gravy. 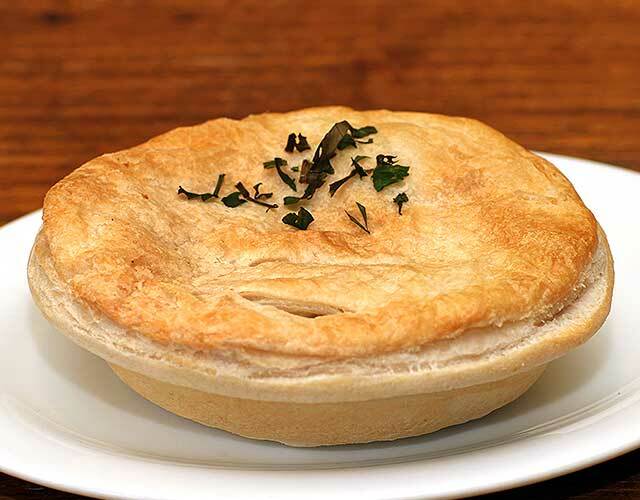 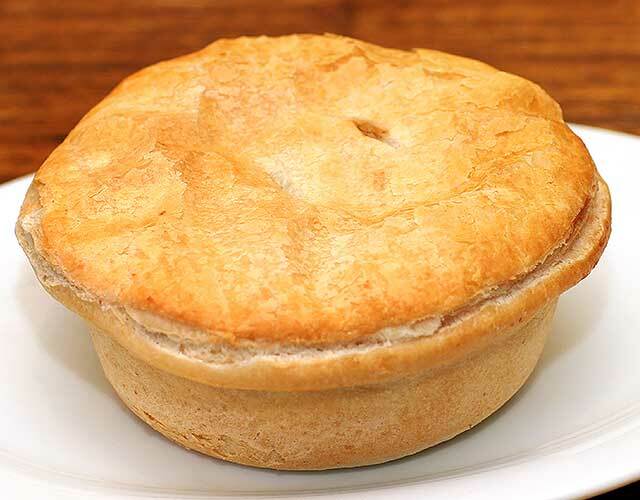 In winter we offer soups to go with our pies. 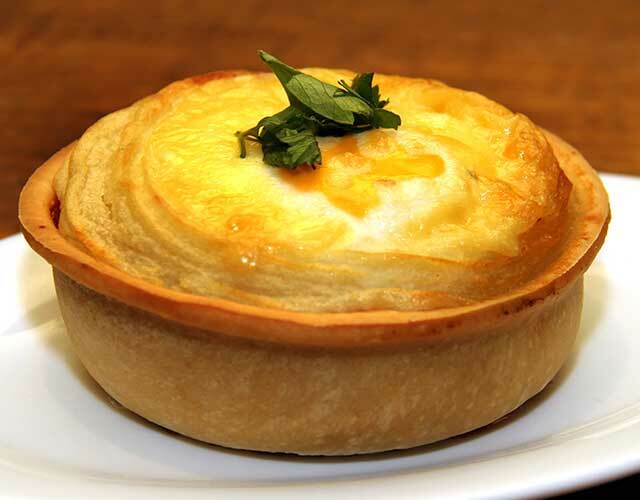 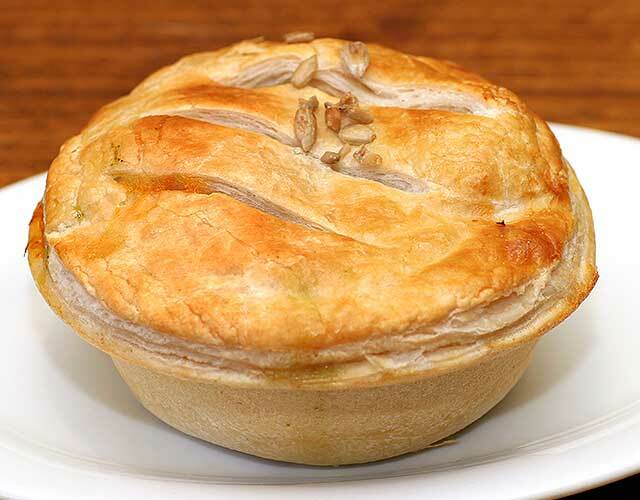 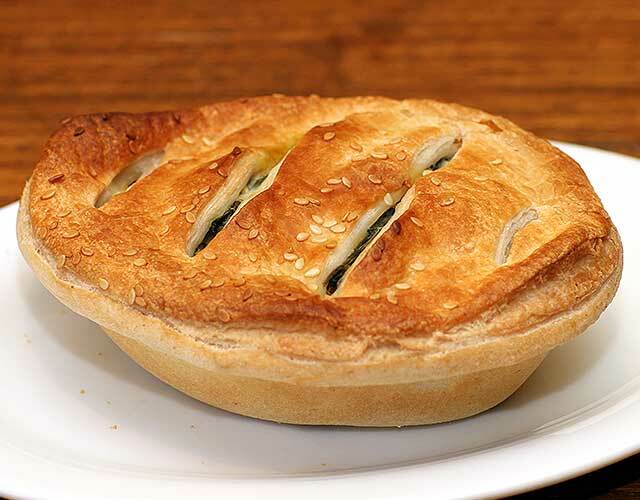 We have a great Range of Vegetarian as well as Vegan pies, and even Gluten Free options. 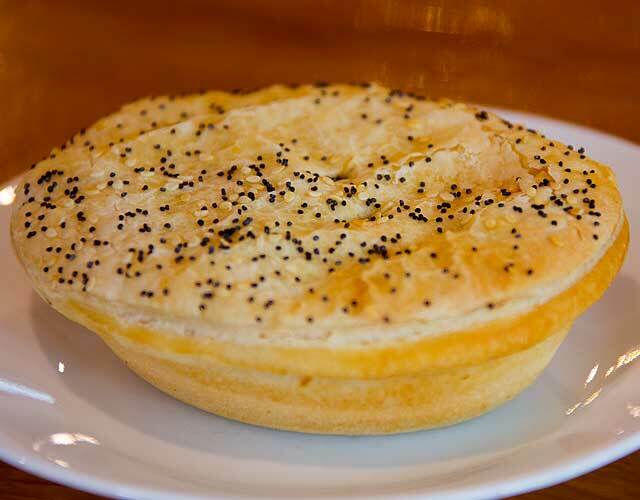 We set the menu to try and have all the main allergens out of a reasonable percentage of our pies. 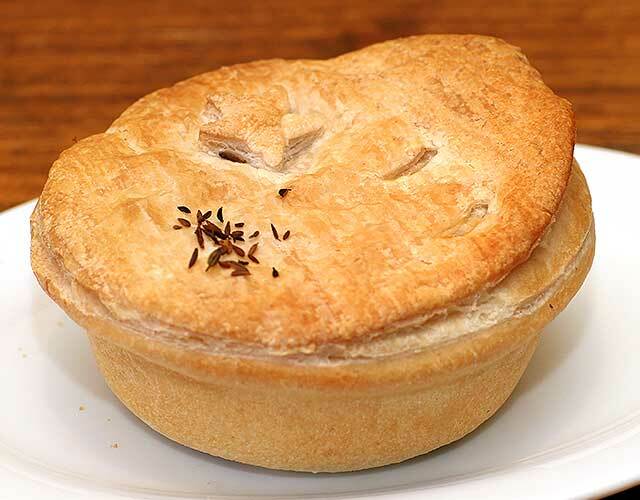 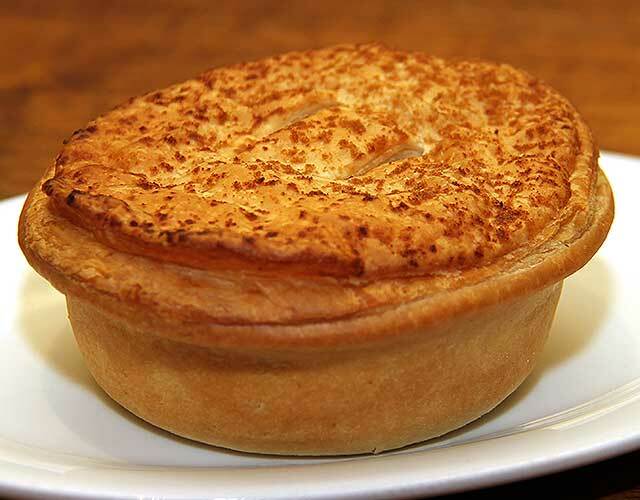 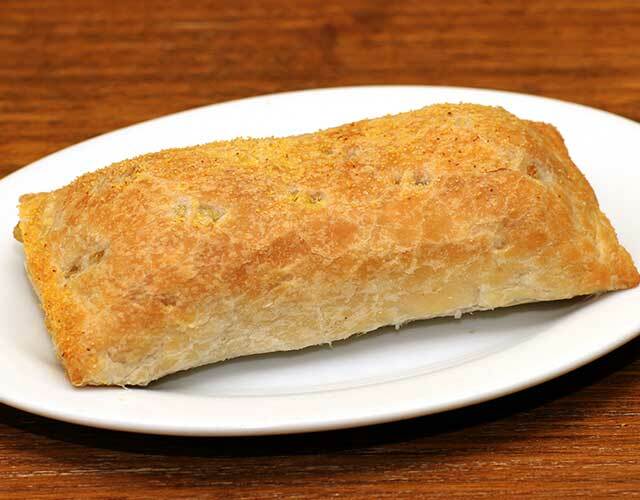 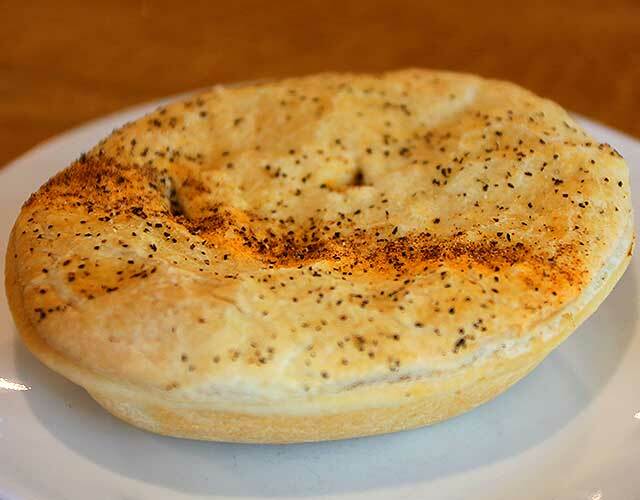 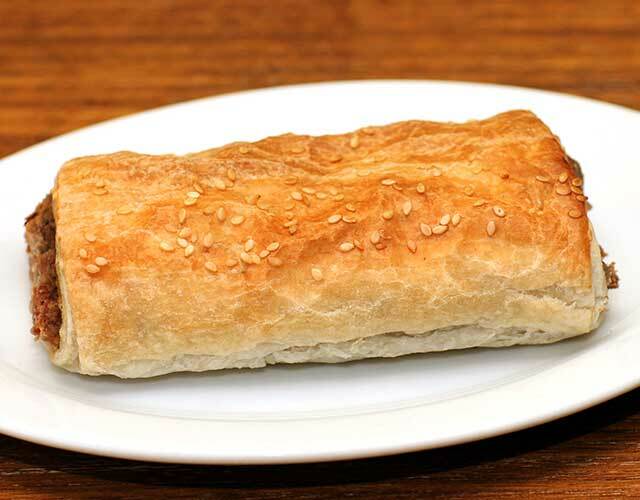 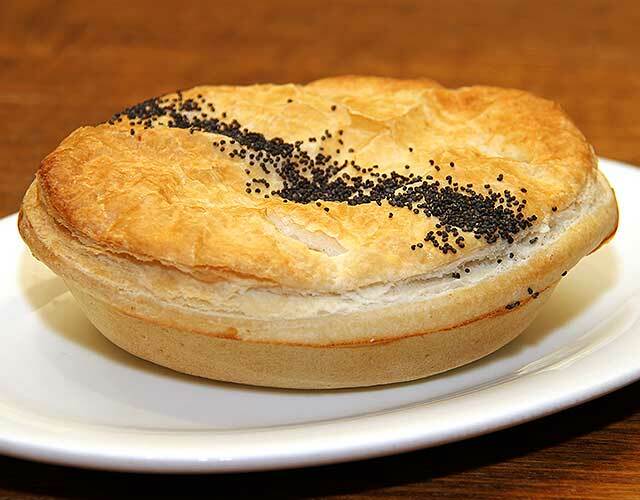 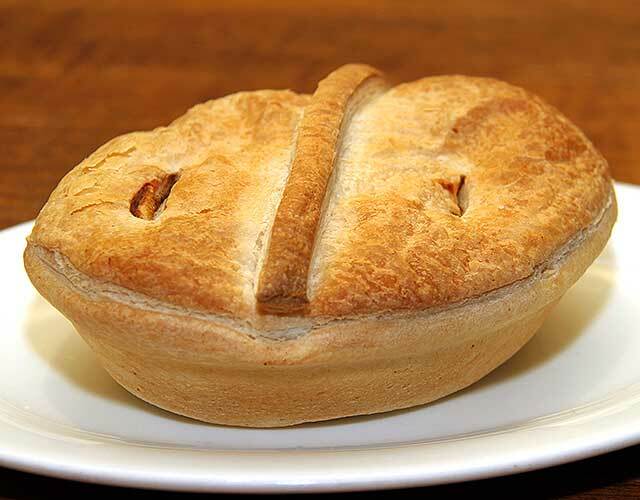 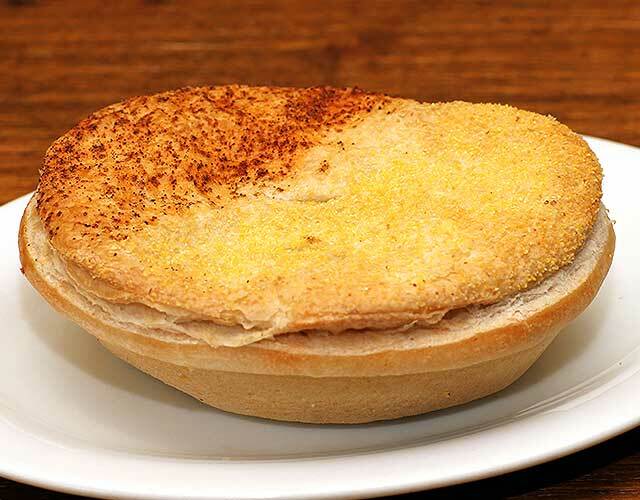 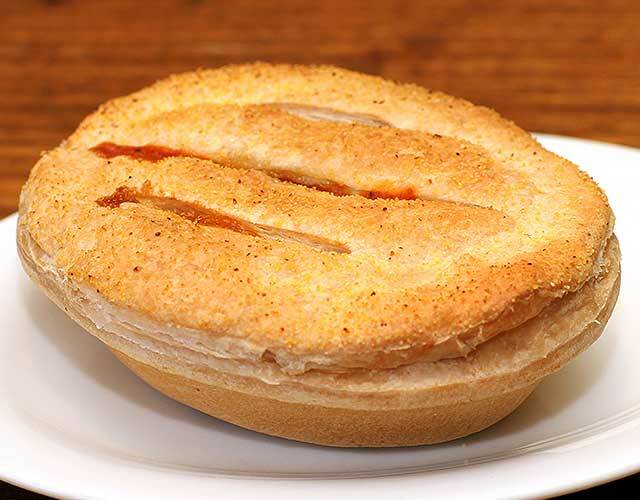 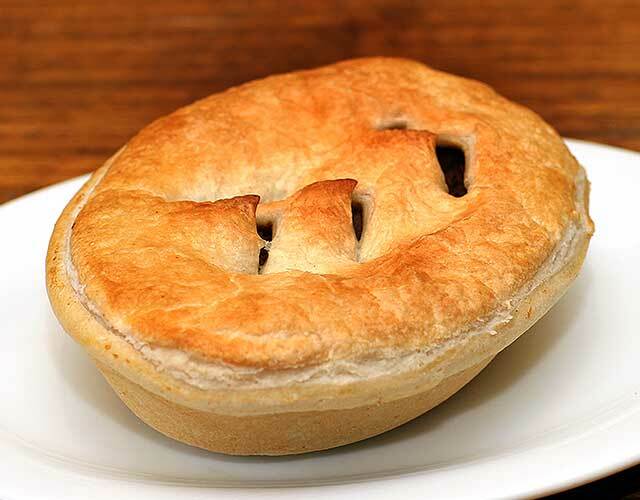 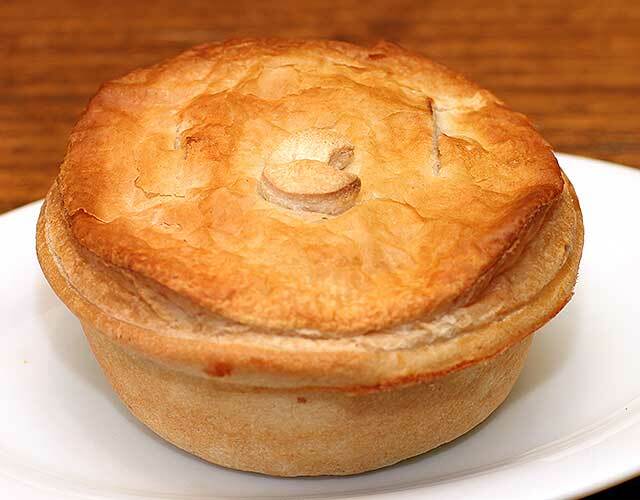 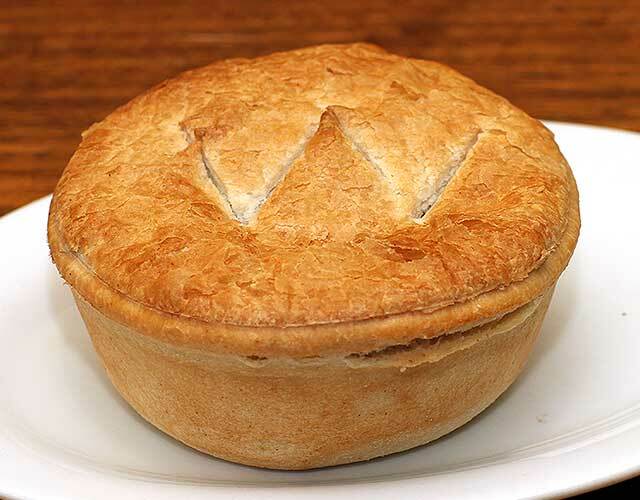 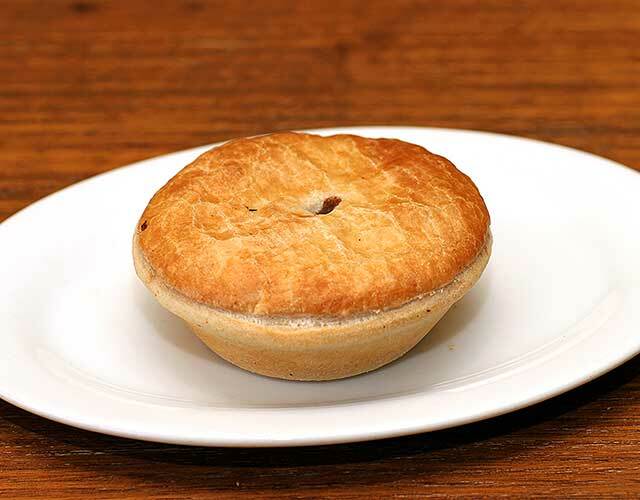 Some of our pies are wheat free. 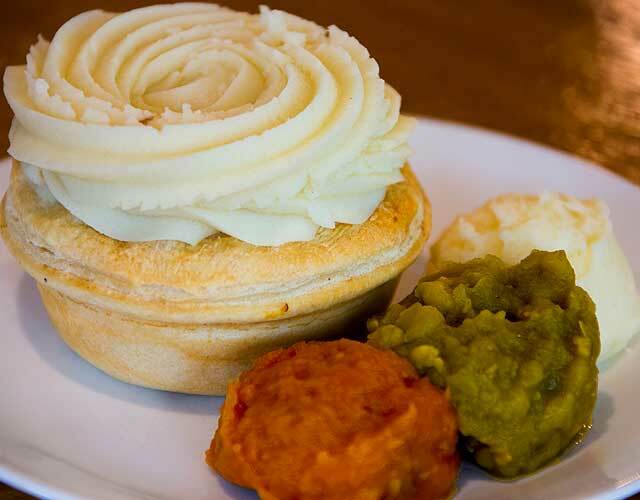 All the pies additions are egg free, and the peas and pumpkin are dairy free. 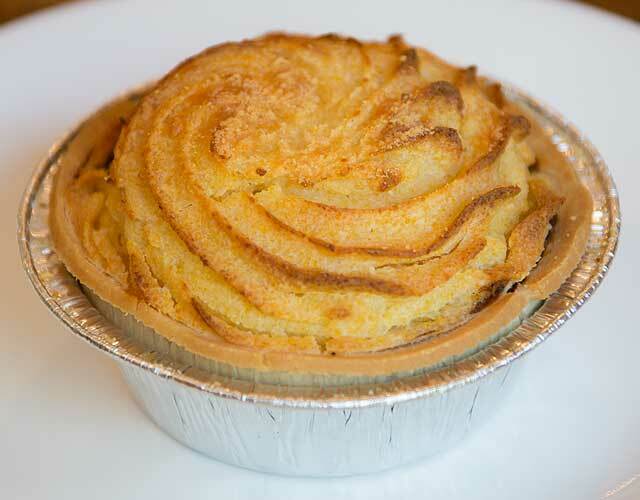 All our pies are made from scratch on the premises daily, so if you need to know what is in any pie, just ask and someone can help you. 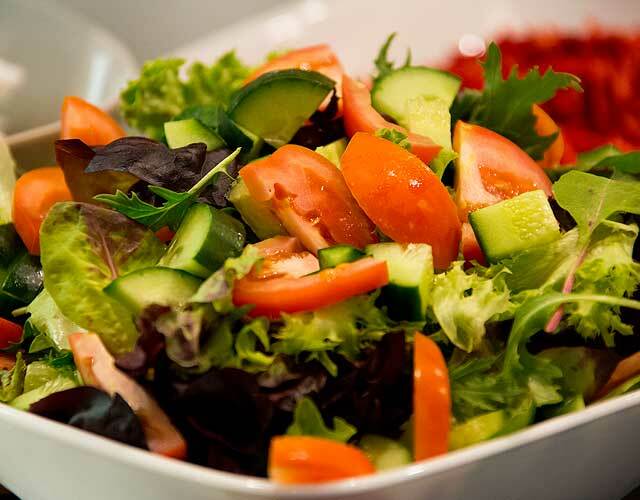 We focus on freshness and great value, as well as a speedy option to grab breakfast, lunch or something for dinner on the run. 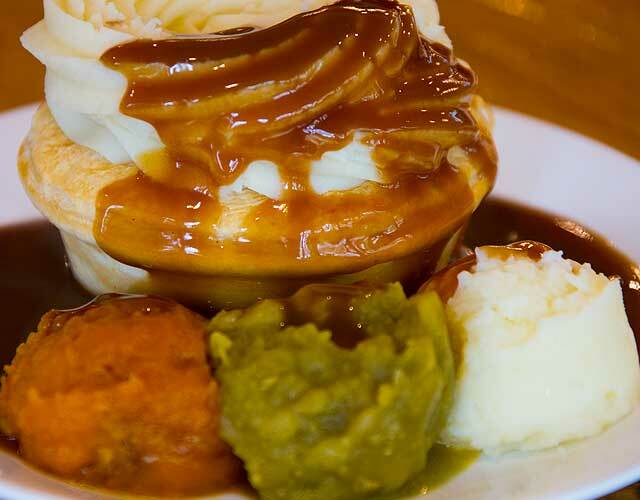 If you want to sit down and relax, you can also have a coffee and dessert to round off the meal – there’s plenty of parking and space for everyone! 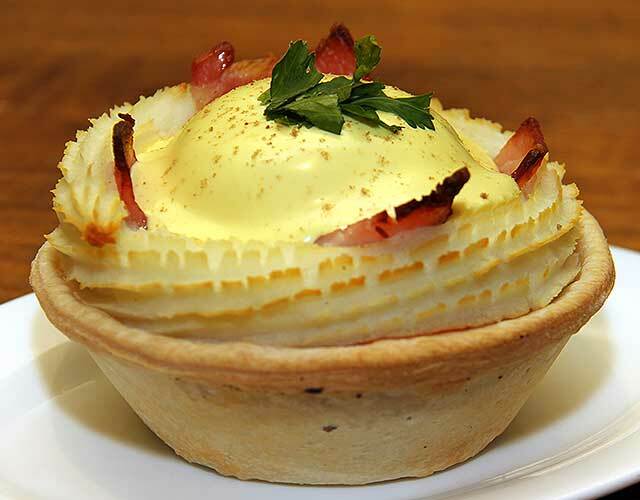 Be sure to check out our menu to see all the options available. 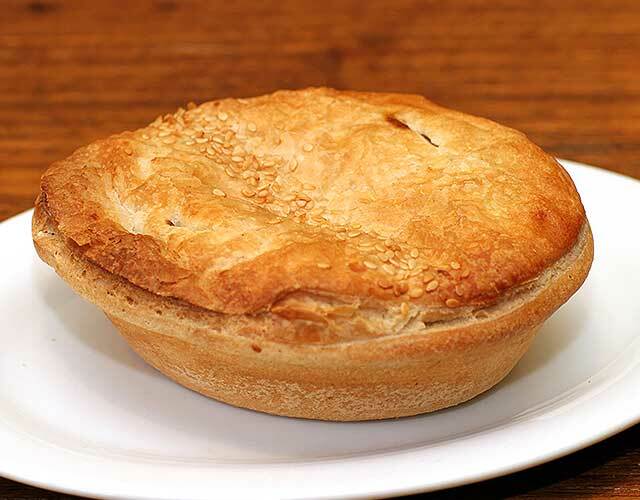 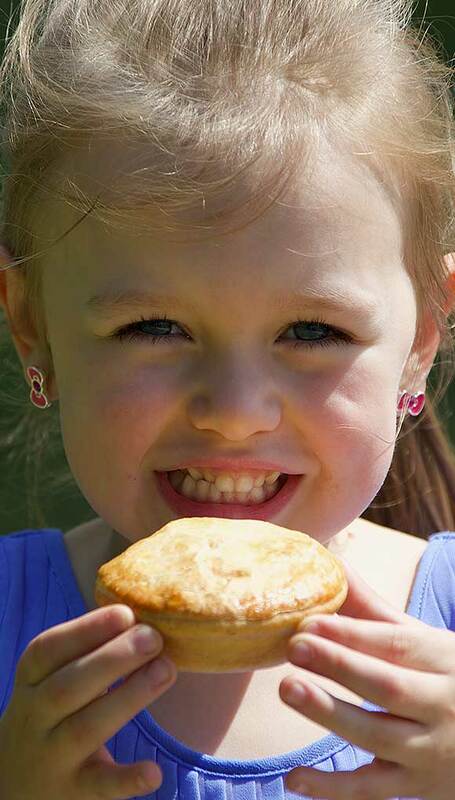 Remember, that if you would like any of these pies as a family size, please order 48 hours in advance. 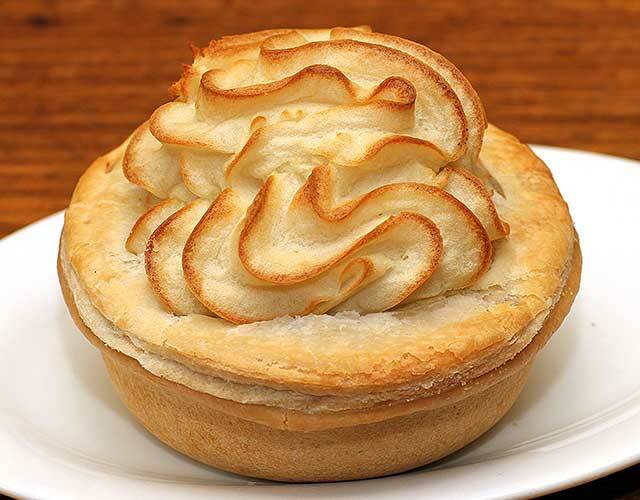 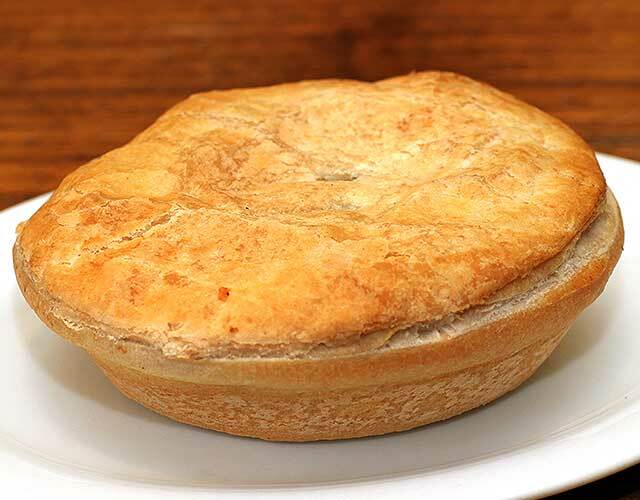 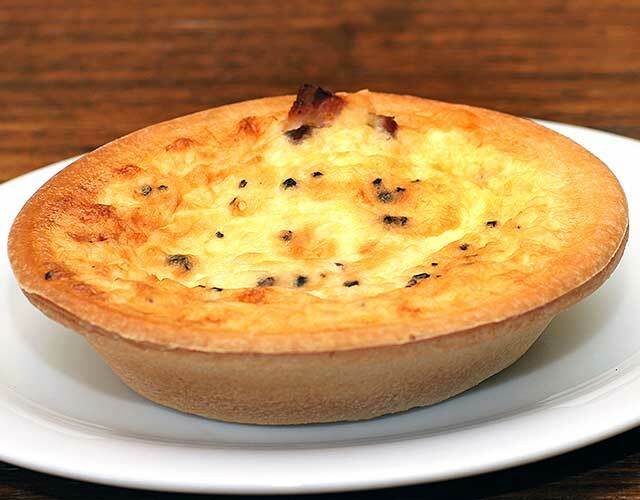 Have a look at our family pies page to see what ones we make daily that you can ring and reserve, or just come in to the shop and see what we have. 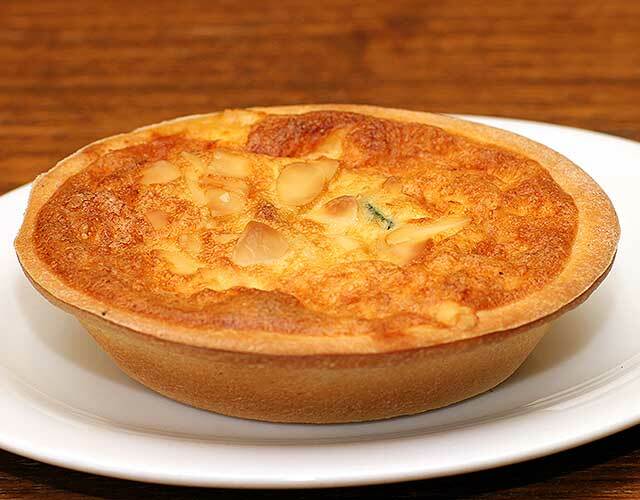 If you are a regular customer, be sure to ask for a loyalty card to get great discounts!